Immigration is the act of entering a country with the intention of permanently living and/or working there, although U.S. immigration laws also cover entry into the country for almost any purpose including temporary stays beyond a certain length of time. Below is an overview of immigration processes in the United States. The immigration system in the U.S. is set up primarily to grant immigration status based on factors such as family reunification, in-demand work skills, and capital investment. The immigration system also covers refugees and asylum seekers, and provides a “lottery” for immigration status to people who have less pressing immigration needs. The procedure for gaining legal immigrant status will depend upon, among other factors, which path you are eligible to pursue based on your employment, education, and family situation. • The individual must be eligible for lawful permanent residence based on a family relationship that is recognized under U.S. immigration law. Not every relative is instantly eligible, and some immediate family members (spouses and children) are given preference over others. 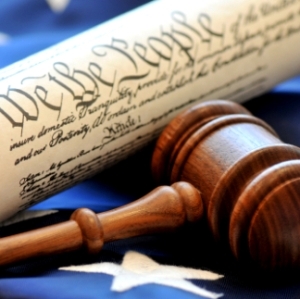 • Form I.130, Petition for Alien Relative, must be filed by the individual’s relative (called a “Sponsor”), along with proof of the family relationship, and the petition must be approved by the government (the U.S. Citizenship and Immigration Services bureau). • The individual must be eligible under one of the five categories of employment-based immigration recognized under the U.S. law. • The individual’s employer must complete and submit a labor certification request to the Department of Labor’s Employment and Training Administration. • The individual’s employer must file an immigrant visa petition and the government must approve the petition. • The investment meets a certain threshold dollar amount, benefits the U.S. economy, and creates or saves a specific number of jobs. • Immigrant Petition by Alien Entrepreneur is filed with an approved by the government. To be eligible for refugee status, an individual must have suffered past (or be in fear of future) prosecution on the basis of race, religion, nationality, political view, or membership in a certain group. An individual who is found eligible for refugee status must then satisfy certain medical and security criteria in order to be eligible for entry into the U.S. Political pressures make refugee status difficult to prove in some cases. Through the Diversity Visa Lottery Program, immigrant visas are made available annually to people whose country of origin has low immigration rates to the United States. Each year, the State Department selects 110,000 applicants from all qualified entries. However, once 50,000 immigrant visas are issued, or the fiscal year ends, the lottery is closed. Immigrant visas are not available for people whose country of origin sent more that 50,000 immigrants to the United States in the last five years. • Whether the applicant qualifies for refugee status as an individual who suffers or fears persecution on the basis of race, religion, nationality, political view, or membership in a certain group in his or her country of origin. The purpose of the DV Lottery Program is to annually award immigrant visas to applicants whose country of origin has low immigrations rates to the U.S. (not more than 50,000 in the last five years). The program is called a lottery because there are more applicants that available visas and the visas are granted randomly among qualified applicants. Under what circumstances will a foreign spouse’s permanent resident status in the U.S. be conditional? Under what circumstance will a foreign fiancé, who has been admitted into the U.S. for the purpose of getting married, be required to leave the U.S.? If the marriage to the U.S. citizen who filed the petition to permit the fiancé into the U.S. does not take place within 90 days of entering the U.S., the fiancé will be required to leave the country. Can a U.S. citizen file an application to adopt a foreign-born child before the citizen has identified a child to adopt? Yes. A married U.S. citizen, or an unmarried citizen who is at least 24 years of age and will be at least 25 when the petition is actually filed, may file an Application for Advance Processing of Orphan Petition, to speed up the adoption process. Yes. The U.S. Citizenship and Immigration Services (USCIS) bureau has discretion to waive a filing fee if the applicant can establish that he or she is unable to pay. IN order to have the USCIS consider waiving a fee, the applicant must follow specific instruction, including completion of a form for review by the USCIS. 1. If you have committed or been convicted of any crime.Most USCIS forms ask whether you have committed or been convicted of a crime, and remember that you will be fingerprinted if you want to immigrate. While not all crimes create a barrier to immigration, if you make misrepresentations on your immigration forms, you risk deportation. 7. If you divorced your first U.S. spouse before the condition was removed from your permanent residence and you are now seeking to adjust status based on a marriage to another U.S. citizen. In many instances, it will be difficult to prove that your first marriage was not a sham. 8. If your marriage to a U.S. citizen failed before you were able to file your petition to have the condition removed on your residency, and you will have to file alone. The procedure for waiving the joint petition requirement can be extremely difficult, particularly when your former spouse and his or her family will not provide you with any evidence that the marriage was not a sham. 9. If you are immigrating with your family and you have a child that could reach age twenty-one before your permanent residence status is granted. For example, if you are obtaining a green card through employment, your spouse and your children under the age of twenty-one will also be eligible for green cards. In such a case, you will want to consult an attorney to determine the most expeditious method of processing your paperwork. 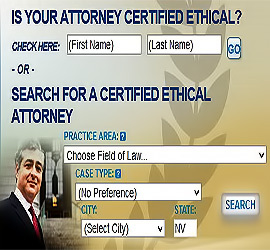 Where can I find a Nevada Immigration lawyer in Las Vegas or Reno to assist me with my Immigration case? Go to www.attorneyguide.com or click “home” on the menu bar at the top of the page. Choose your city and state, and then select Immigration Law and the type of case that best matches your situation.